http://vimeo.com/40182652 This is a link to a video done by the good people at Field Notes. Totally going against the grain of electronic notes and messages, these notebooks have great design with some actual history behind them. Aaron Drapin is quite an interesting fellow but do be warned that his language isn't always pg-rated. 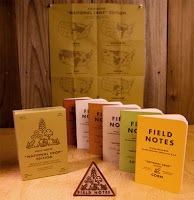 Field Notes entire collection can be perused here. 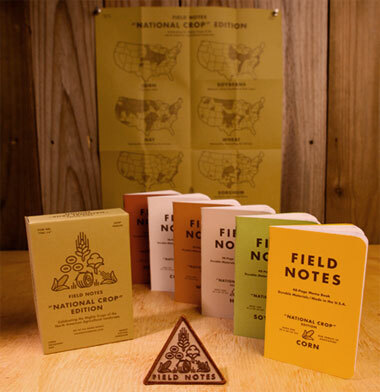 We'll have the Crop Edition in next week and currently do have in stock most of the 50 states editions. $3 each.